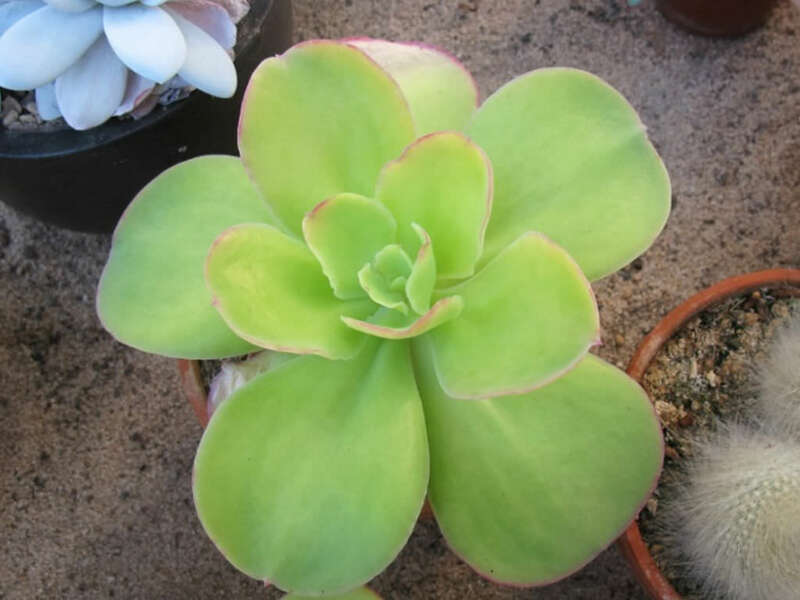 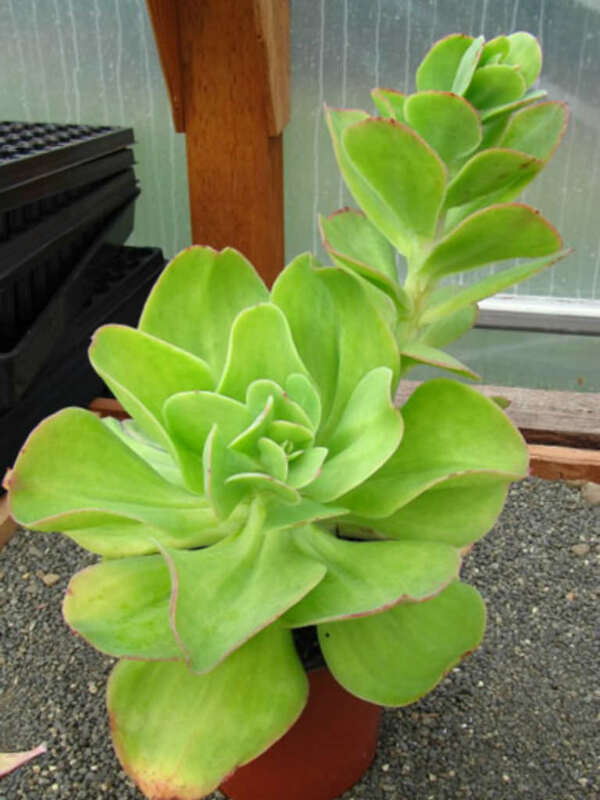 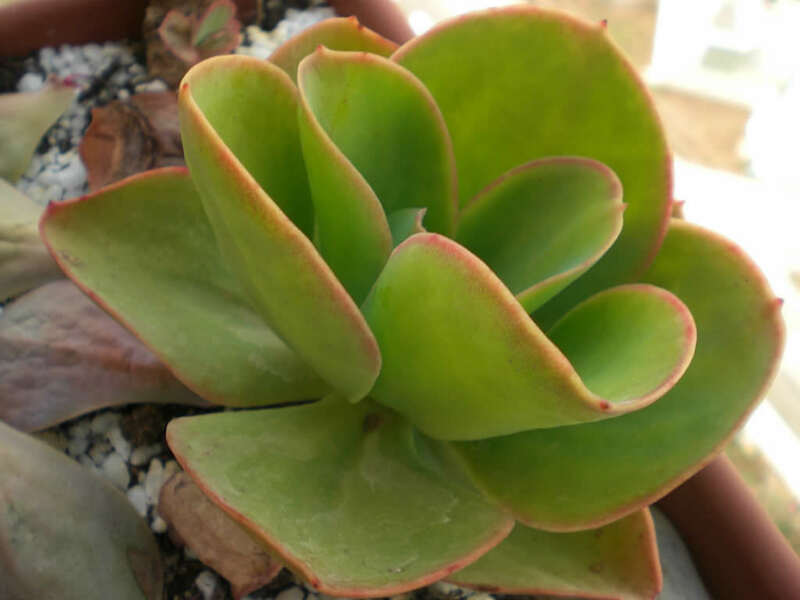 Echeveria pallida is a fast growing succulent plant, up to 20 inches (50 cm) tall. 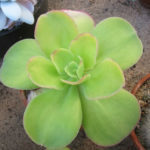 Lax rosettes are up to 10 inches (25 cm) in diameter, on an unbranched stem, up to 1.2 inches (3 cm) in diameter. 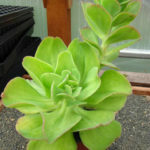 Leaves are spoon-shaped, lime-green to yellow, with edge lightly glaucous. 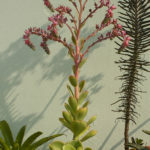 Flowers are pink, on a up to 3 feet (90 cm) tall inflorescence. 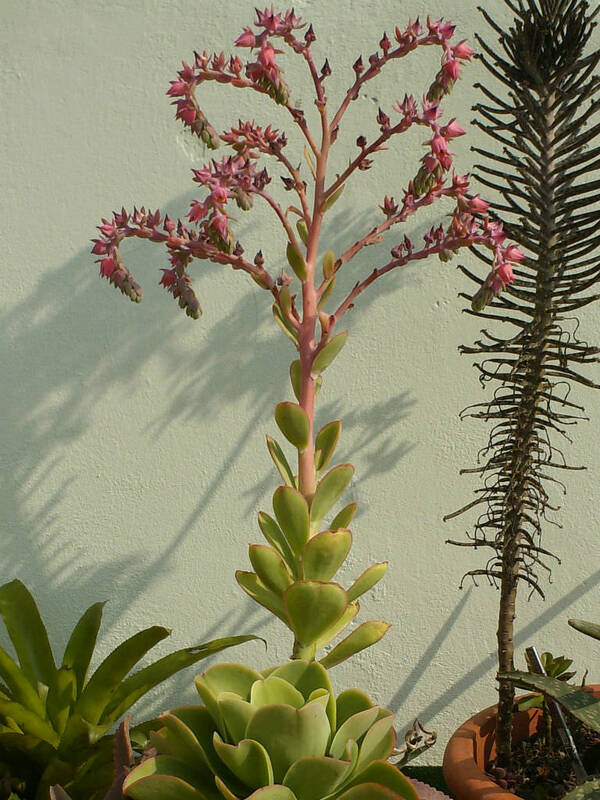 Blooms in winter.